The Ricardo Tormo circuit was built in 1999 and was named in honour of Spanish Grand Prix motorcycle racer Ricardo Tormo. This circuit has now become a fan favourite as the MotoGP season finale. It consists of a 650m straight and includes five right-handed corners and eight left-handed corners. 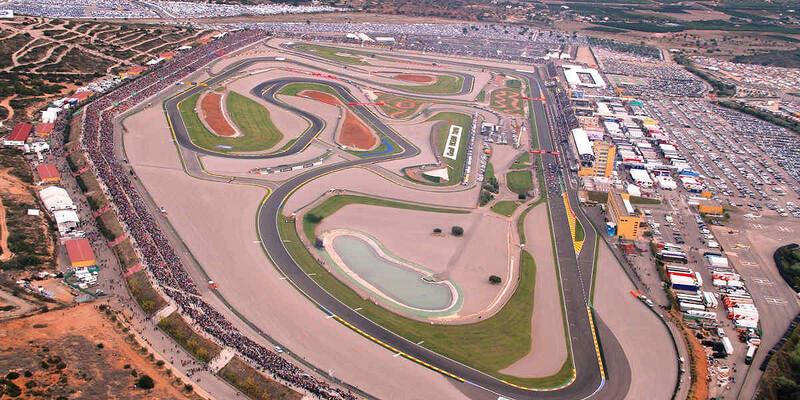 Unlike most other circuits, the Ricardo Tormo circuit is set in a natural bowl and ticketholders are able to view multiple sections of the track from any grandstand. The track also hosts rounds of the World Superbike Championships and at times is used as a test track by Formula One teams.